@DryJuly, which raises money for adults living with cancer by supporting organisations involved with cancer research, equipment and treatment, raised over $4m this year through its online and social media marketing. See their beneficiaries here. It’s a very cool annual campaign with very low effort on the part of the participants and I suggest it has the benefit of growing involvement year on year. The campaign asks its participants to give up drinking alcohol for a month. They can just stop there if they like – a great way to have a healthy month. Most people however would make a donation to get involved and then perhaps raise money from their friends, family and colleagues. It has a positive benefit for the participants who have an AFM – an alcohol free month – who basically could donate what they would have spent on alcohol during July to the Dry July campaign. It would be interesting to see how many participants a) join again after the first year – ie their retention rate and then b) whether they raise or donate more money in subsequent years. I’d like to know what their retention rates are given it is hard for many charities to attract regular donors via online channels. 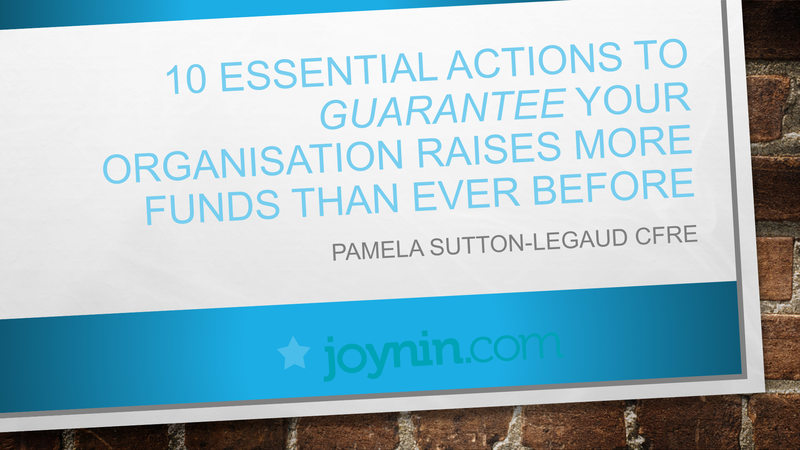 It may also be a good way to involve men in fundraising – notoriously difficult. Movember is another annual campaign (the participation requirement I like less as it involves my husband growing even more facial hair!) But I’m sure its successful in this time of trending beards! This was a fantastic idea started in 2003 by Adam Garone (who sports a most impressive mo’) and the other three co-founders inspired 30 guys to grow a moustache or beard and fundraise for men’s health during the month of November. Now, 10 years later, the campaign runs in 21 countries and in 2012, over a million ‘Mo Bros’ and ‘Mo Sistas’ took part. Some very hairy people out there! Barbers everywhere rejoice! I love these innovative, fun and joyful ideas. They focus very much on the user, the customer, the donor and do not rely on doleful images and sad stories. Certainly, there is a need for that type of marketing (and many will tell you how well these elements help) but I do love the fun and happiness created by campaigns such as Movember and DryJuly. Giving up the grog for July made me reflect on my own drinking habits – and that is a good thing. Perhaps its having a similar effect on others – another interesting piece of analysis to consider. I encourage all of us in the fundraising and NFP sector to look for joyful ways to engage with our ‘customers’ and stakeholders – make them the hero, give them ways to engage that THEY like and watch how they get involved and even show off their participation. Well done to DryJuly. Great result. Previous postWorld Environment Day June 5th: What do we have to celebrate? Next postIs life really what happens when you’re making other plans?